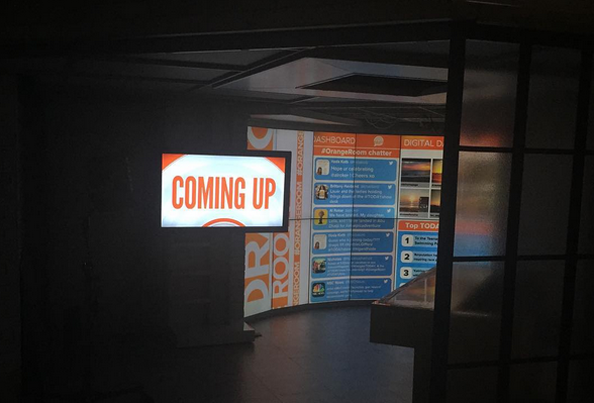 “Today Show” Executive Producer Don Nash has posted a preview of the revamped Orange Room to Instagram. The photo, which (likely on purpose) is shrouded in darkness, shows a revamped, curved video wall made of vertically mounted flat panels in the social media hub of Studio 1A. The Orange Room previously had a slightly smaller video wall, but it was broken up into two segments by a rather awkwardly jutting wall. With the video panel upgrade, it appears the Orange Room will, ironically, have less actual orange in it since some of the orange wall coloring has likely been eliminated. 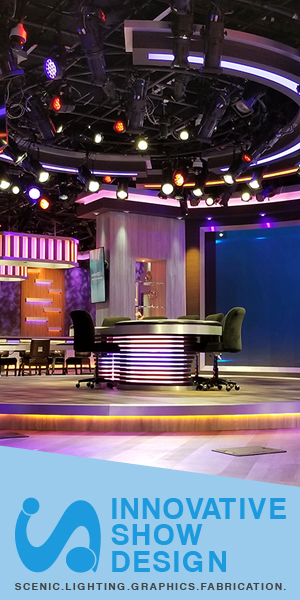 Other reports have surfaced that the other changes to Studio 1A include making the entire color scheme a bit less orange as well. Like the previous iteration of the wall, “Today” will use the new panels to showcase a variety of social media streams, as shown in the image posted by Nash. While the graphics shown, which may not be the final ones used, still use orange as an accent color, blue and whites also dominate. Insiders say the new “Today” studio will debut next week.